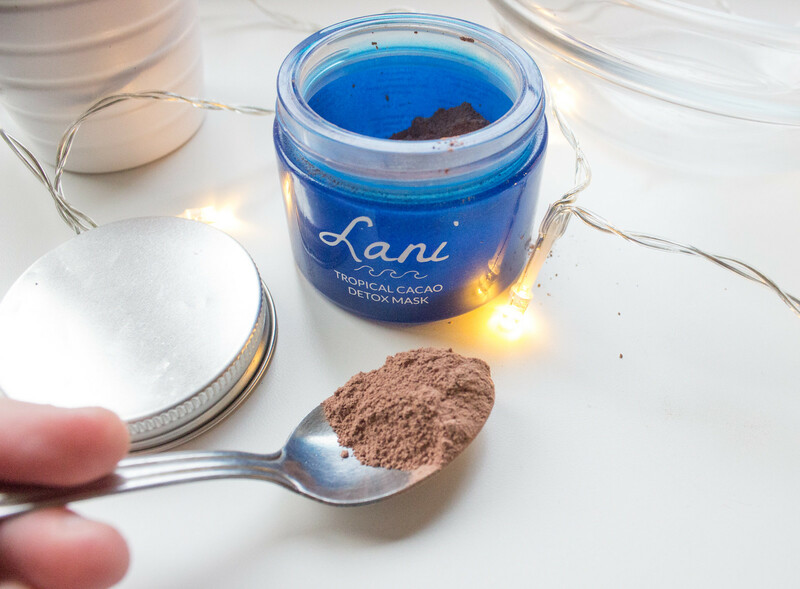 I'm not sure this review really needs to be any longer than; the Lani Tropical Detox Cacao face mask is like rubbing Aero mousse on your face, you're gonna want to eat it, and it's everything you need in a face mask. 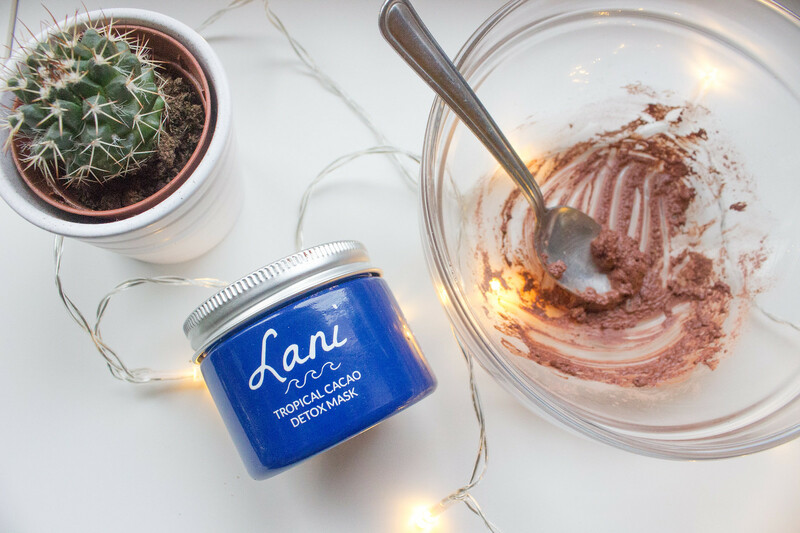 While that line is enough to get me to buy a product, for those who want to find out more about Lani's Tropical Cacao Detox face mask, read on and be prepared to feel hungry. Why did I choose Lani? I stumbled across Lani on the Anthropologie website while trying to find a new face mask (ironically, I was looking at another brand but Lani's packaging drew me away from them; marketing goals there, Lani). 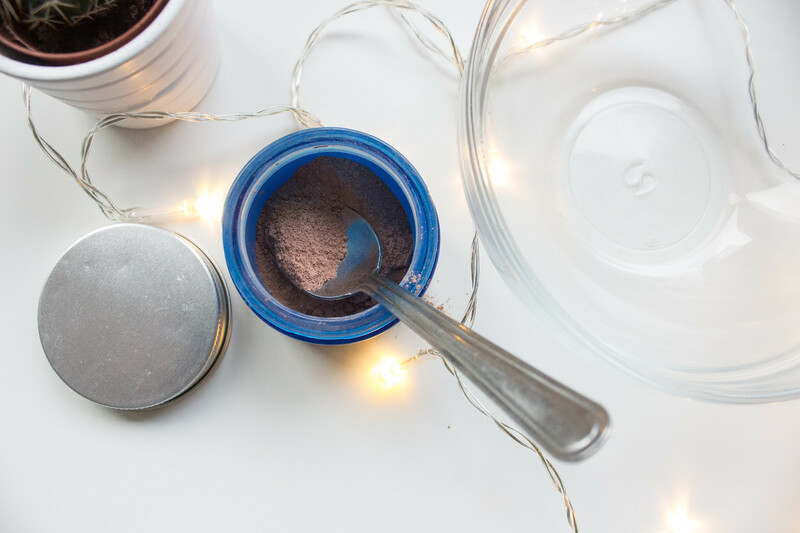 I was looking for something that was toxin-free (read more about why that's important here), vegan, cruelty free, used organic ingredients, and was not packaged in plastic. Lani instantly fit the bill. From what I can see, all of their products come in glass with metal lids (though it does look like the face serum has a plastic dropper). That means their packaging is easily to recycle, or I will probably end up keeping it to put bulk spices or baking powder in. In addition, Lani products are produced in the UK, they're fairly priced for toxin-free and vegan skincare, and they regularly donate to charity. Are they good people, or what? Lani do two face masks; Tropical Cacao Detox one or Tropical Fruit Radiance Mask. I went with the cacao one because I read a couple of reviews about how amazing the smell is. And guys, the smell does not disappoint. The face mask comes in powdered form. To turn it into a delicious face mask the Victor of Dibley would adore; add a few drops of water to half - a full teaspoon of the mask. Note the packaging says one tablespoon but that would be waaaay too much. I use about three-quarters of a teaspoon and that does me perfectly. Their website says you should get between 20 - 40 uses out of one jar. I think 40 is pretty ambitious, but I reckon I will get around 20 uses out of one jar, which for £14.99 is my kind of value for money. It is a drying mask and it doesn't take more than a few minutes to dry out. The packaging recommends leaving it on for 10 - 20 minutes. I've left it on much longer than that before (I was watching YouTube videos, lols) and it hasn't gone too far and dried my skin out. The smell drives me nuts every time I use it (in a good way). 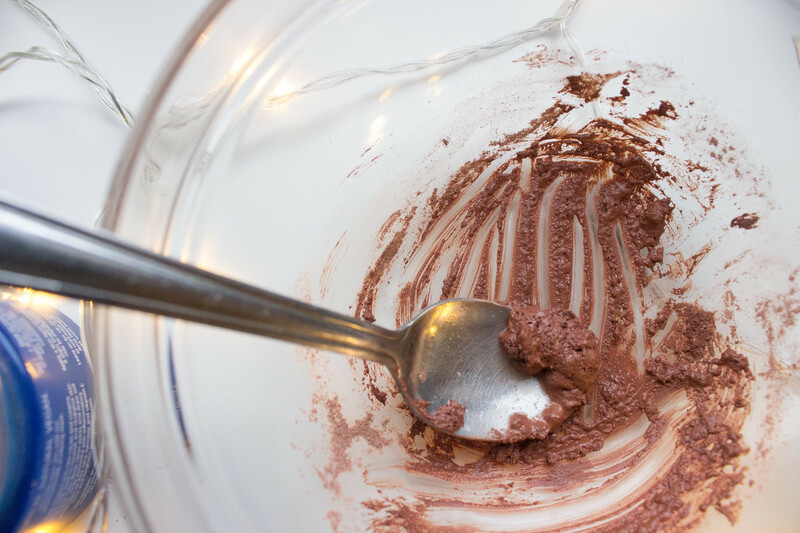 It reminded me of one of those Aero mousse yoghurt things my Mum used to buy me and my sister when we were kids. Pretty sure that's not vegan, but at least I can relive the smell and sort my skin out at the same time. Now that's the kind of multi-tasking I'm up for doing. The mask washes off nicely in the shower or using a face cloth with no harsh scrubbing needed. Winter has been causing a bit of chaos for my skin recently and this face mask has been a saviour. After using this, my blemishes / redness looks calmer and I really think it's helping to calm my skin down. Absolutely. This face mask is cruelty free, vegan, toxin-free, smells deeeelightful and is helping save my winter-battered skin. While I'm tempted to straight out repurchase this, I want to try out Lani's Fruit Radiance Mask to see how it compares.